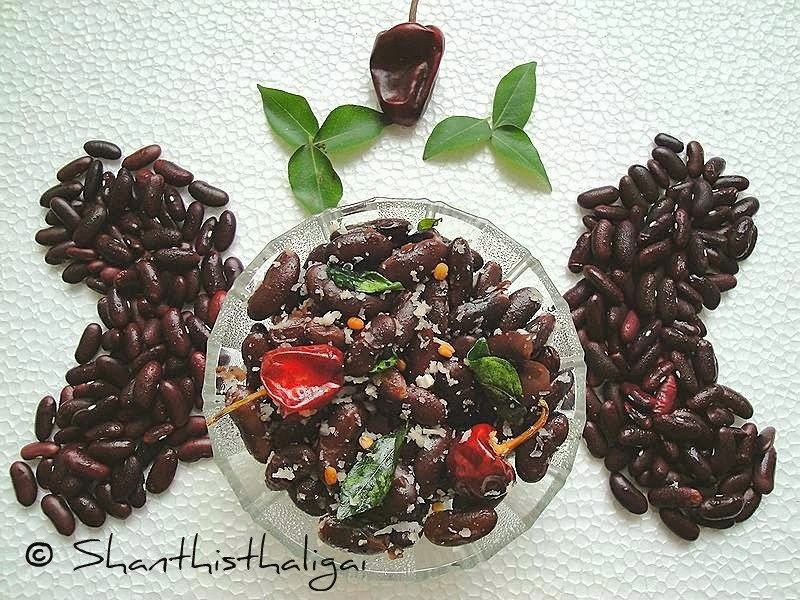 Soak rajma overnight and pressure cook alongwith salt until soft. Drain completely. Heat oil and add mustard seeds, when they crackle add urad dhal, chillies, curry leaves, turmeric powder and hing. Add cooked rajma, scraped coconut and stir fry for a minute. Serve hot. Super sundal... in fact loving all your sundal posts! Delicious healthy sundal.. love the presentation!